Cinnamon is also used in traditional Chinese medicine to treat the symptoms of diabetes such as polydipsia and polyuria. It has been found to have an insulin-like effect and its mechanism of action is similar to that of statins. A study carried out at the Beltsville Human Nutrition Research Center in the USA succeeded in isolating complexes that increase insulin sensitivity from cinnamon. Three water-soluble polyphenol polymers increased insulin-dependent glucose metabolism by nearly 20-fold. These nutrients exhibited significant antioxidant effects, as do other active ingredients of cinnamon, such as epicatechin, phenols and tannins. Furthermore, scientists have discovered that these polyphenol polymers are capable of regulating the expression of the genes responsible for triggering the insulin receptors in cell membranes. 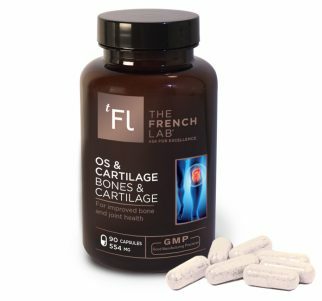 They can increase the quantity of proteins involved in insulin signalling, glucose transport and inflammation and angiogenesis inhibition. Researchers working on a particular type of fat cell generally used to study insulin’s role in glucose metabolism have shown that Type A proanthocyanidins have a similar action to that of insulin and have a similar physiological impact. These type A procyanidolic oligomers, which feature a double chemical bond, also act in synergy with insulin; their combined action was, in certain tests, 4 to 5 times more powerful than that of insulin by itself, demonstrating clinically proven effectiveness. Cinnamon and cardiovascular risk factors affecting diabetics. A double-blind placebo-controlled study was performed on 22 subjects with metabolic syndrome or prediabetes (defined as a blood sugar level of between 100 and 125 mg/dL). After taking 500 mg daily of a water-soluble cinnamon extract over a 12 week period, the subjects’ fasting blood glucose levels dropped significantly (-8.5%), their systolic blood pressure fell (-3.8 %) and their body fat percentage also decreased (-0.7%) whilst their lean body mass increased by 1.1%. The polyphenolic polymers found in cinnamon have antioxidant properties which may have positive impacts upon patients suffering from diabetes. A study has shown that water-soluble cinnamon extract can potentially reduce the oxidative stress associated with metabolic syndrome, which in turn is a forerunner to diabetes and cardiovascular disease. 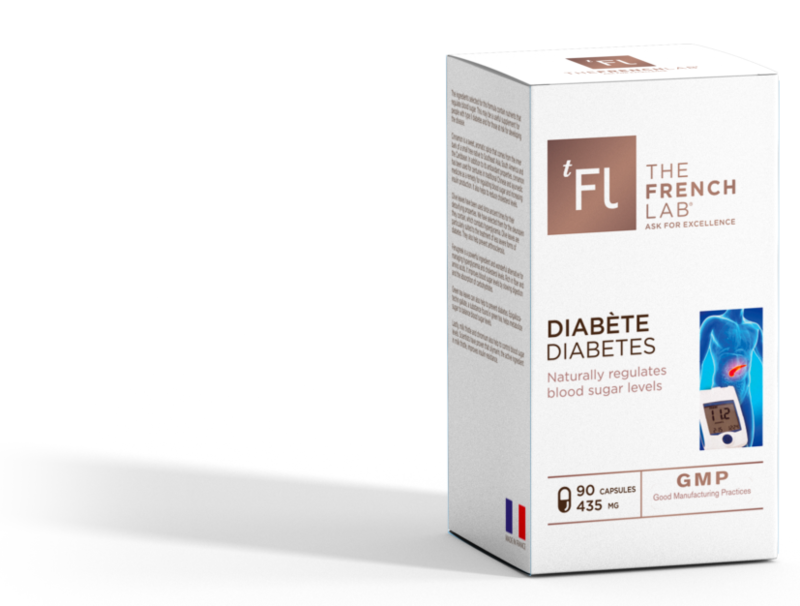 Moreover, the study demonstrated an improvement in blood sugar level control and body composition. This study demonstrates that cinnamon’s active ingredients could help reduce the risk of developing these illnesses by helping the body’s cells to ward off the harmful effects of oxidation. Individuals suffering from chromium deficiency are affected by severely impaired glucose tolerance, which results in very high blood sugar levels and is often accompanied by high levels of insulin. These high blood sugar levels do not fall when additional insulin is administered, but they do fall when the subjects receive a chromium supplement. Glucose intolerance may sometimes be an issue that is a precursor to Type 2 diabetes (non-insulin dependent diabetes). Some of the signs of chromium deficiency resemble the symptoms of diabetes, including high levels of cholesterol in the blood and issues relating to insulin levels. 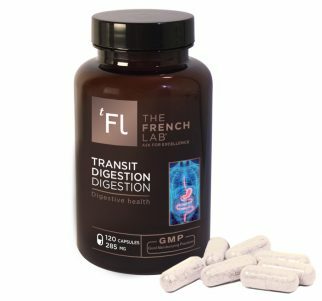 The body only requires very small quantities of chromium, but this mineral plays an important role in human digestive function. Chromium is a key actor in the metabolism of glucose, as it amplifies the action of insulin, the pancreatic hormone which ensures the cells receive the glucose they need to produce energy. Insulin also maintains balanced, stable blood sugar levels. Insulin plays a crucial role in this fundamental biological process by regulating the uptake of glucose from the blood by the body’s cells. Researchers suspect that insulin uses chromium as a cofactor to ‘unlock the door’ to cell membranes, enabling glucose to enter. 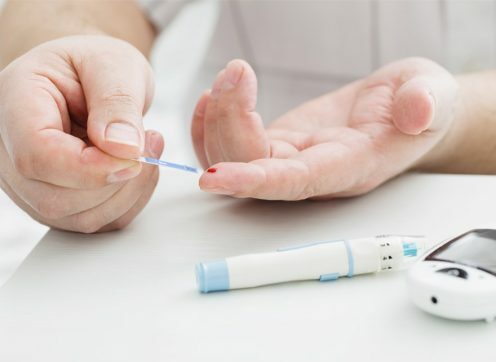 The close partnership between chromium and insulin has given rise to a number of studies which have sought to discern whether chromium could be useful in treating diabetes. Ever since the crucial role of chromium in metabolizing carbohydrates was first discovered in the 1970s, there has been substantial interest in the effects of giving chromium to diabetic patients. A group of Israeli researchers based at Tel-Aviv’s Samuel-Harofeh Hospital studied the impact of giving chromium supplements to 39 diabetic subjects with an average age of 73. Alongside their normal treatment for diabetes, the study participants also received 200 µg of chromium on a twice-daily basis for three weeks. They were also put on a low sugar diet (1,500 kcal per day). Blood samples were collected before and after the study. When analyzed, they revealed that there had been a significant reduction in blood sugar and total cholesterol levels. Blood sugar levels dropped, on average, from 189 to 150 mg/dL and total cholesterol levels went down from 225 to 211 mg/dL. A study by a Baltimore-based team measured chromium levels in 684 male subjects who had survived heart attacks, as well as chromium levels in a similar number of men who had never experienced a heart attack. Chromium levels were measured from toenail clippings, as this offers a more reliable indication of long-term levels than measuring chromium levels in the blood. Chromium levels were lower in older individuals, decreasing at a rate of about 9% per decade. Chromium levels were also lower in subjects with high blood pressure. Levels of chromium were also 13% lower in the individuals who had experienced a heart attack, compared to the members of the control group. Additional analysis showed that the subjects having the highest levels of chromium were 35% less likely to suffer from a heart attack in comparison with those with the lowest levels of chromium. The chemical constituents of fenugreek (Trigonella Foenum-graecum) have a positive impact upon blood sugar levels and insulin resistance in people suffering from mild to moderate Type 2 diabetes. In a study performed in 2001, 25 people suffering from Type 2 diabetes were treated with either 1g of fenugreek grain hydroalcoholic extract or with a placebo for a 2 month period. 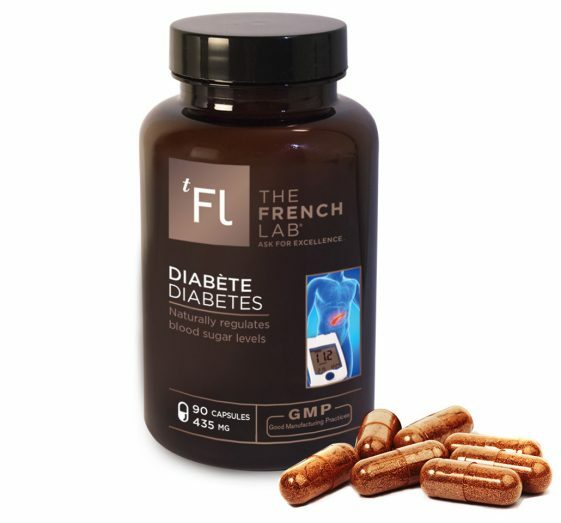 The results demonstrated that fenugreek made it easier to keep blood sugar levels under control and, most of all, increased insulin sensitivity, whilst simultaneously cutting triglyceride levels and boosting HDL cholesterol levels. A 2012 study came to roughly the same conclusions and concluded that it had been possible to bring blood sugar back to almost normal levels. Fenugreek also boasts antioxidant properties which are beneficial for the liver and pancreas. Fenugreek grains (Trigonella Foenum graecum) have a high fibre content (around 50%, with just under a third of this being in gum/gel form). Some studies have suggested that these seeds reduce fasting blood and postprandial glucose levels in diabetic patients. Olive leaf extract is well-known for its blood pressure lowering qualities. Olive leaves contain secoiridoids (substances produced by the plant to combat diseases), including oleuropein, which is usually thought to account for the mild blood pressure lowering properties of this plant. Oleacein (also contained in the leaves) may have a similar effect upon blood pressure. Olive leaf extract also has a hypoglycemic effect, in other words, it helps lower the blood’s glucose levels. These twin properties (the capacity to lower blood pressure and blood sugar levels) are particularly important for people affected by Type 2 diabetes (non-insulin dependent), as the high blood pressure levels often experienced by diabetes patients puts them at considerably greater risk of cardiovascular illness. When combined with a healthy diet and lifestyle, olive leaf extract offers a two-fold advantage, helping reduce blood pressure and keeping blood sugar levels under control. A recent study would seem to suggest that polyphenols present in olive leaves have a beneficial impact upon insulin sensitivity and cardiovascular illnesses. 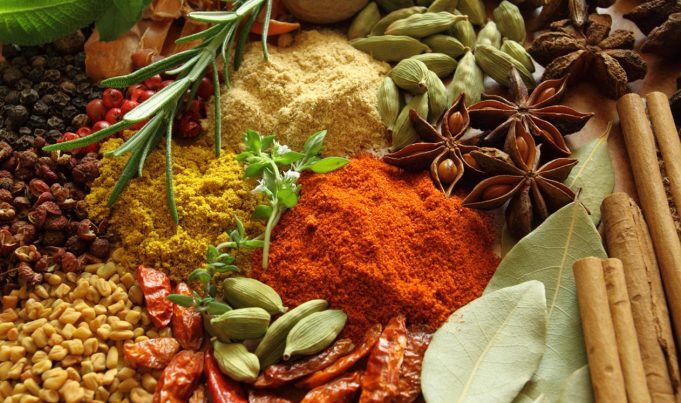 To these properties we can add antioxidant and anti-bacterial effects. People who have drunk green tea over long periods of time often have a lower body fat percentage and a smaller waist measurement. Intervention studies have shown that drinking green tea may reduce body weight and abdominal fat, as well as promoting fat oxidation and increasing energy expenditure. EGCG regulates the expression of the genes involved in oxidation, fat storage, insulin signalling and glucose metabolism. By reducing the production of glucose in the liver’s cells and inhibiting the expression of genes that encourage glucose production, EGCG mimics the action of insulin. Studies have also suggested that EGCG suppresses appetite and reduces body weight and levels of blood sugar and insulin. It also reduces amylase activity. Amylase is a starch-digesting enzyme found in saliva and the intestines. As starch is broken down more slowly in the absence of amylase, blood sugar levels rise more slowly, making it easier to resist the real temptation to snack between meals. Researchers from the University Medical Center Schleswig-Holstein (Germany), studied this phenomenon in some depth. Their analysis, which was published in the Plos One scientific journal, demonstrated how a certain chemical compound in tea improves cell metabolism and reduces the likelihood of developing a range of illnesses. Most of these positive effects are due to the presence of phenolic compounds called catechins in tea. The most important of these is Epigallocatechin-3-gallate (EGCG). In their study of the role played by this compound, scientists were able to show that it inhibited 11β-HSD-1 activity. This enzyme is involved in the production of a steroid hormone called cortisol. Cortisol plays a critical role in regulating numerous physiological processes, including arterial blood pressure, heart rate, the metabolism of carbohydrates and the immune system. Cortisol production over an extended period of time may give rise to different health issues such as high blood pressure, a weakened immune system, Type 2 diabetes and obesity. The milk thistle (Silybum marianum) is the go-to plant when it comes to liver health. Many studies have found that it helps protect the liver from damage thanks to one of its active ingredients, silymarin, which protects the liver from a large number of toxins. A more recent study showed that silymarin improved control of blood sugar levels and reduced cholesterol and triglyceride levels in patients suffering from Type 2 diabetes. The plant’s active ingredient is contained in the ripe fruit (actually an achene, which looks more like a grain than a fruit), the pappus does not contain this ingredient dépourvu de pappus. The fruit is rich in unsaturated fatty acids, proteins and sugar. silymarin increases the synthesis of ribosomal nucleic acid (RNA) and boosts the production of ribosomal proteins in liver cells, which in turn increases the process of biosynthesis and stimulates liver cell regeneration. Silymarin, the active ingredient of a plant called the milk thistle, can improve certain aspects of diabetes according to the results of a double-blind controlled study published on 30th October 2006. The four month long trial involved 51 Type 2 diabetes sufferers. Some of the group took 200 mg of silymarin three times a day on top of their usual medicine, the rest of the group took a placebo with their medication. The first group’s glycated haemoglobin (HbA1c) dropped by 1.04%, whereas it increased by 1.16% in the control group. The patients who took the plant extract also experienced a 15% decrease in their blood sugar levels, whereas in the control group, blood sugar levels went up by almost the same percentage. Lastly, the taking of silymarin led to a reduction in both total cholesterol and LDL cholesterol by 12%, and a 25% decrease in triglyceride levels. With regard to the control group, cholesterol levels showed no change and triglyceride levels had increased by 12%. that is a very effective aid to keeping blood sugar levels under control. 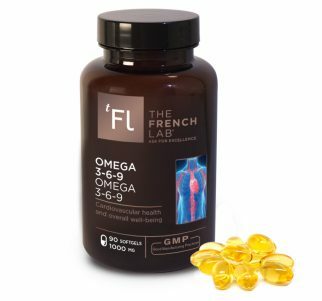 “The French Lab” also manufactures the “OMEGA 3-6-9” product, which can be used alongside its Anti-Diabetes formula. This product aims to help people keep their cholesterol and triglyceride levels under control. Cinnamon, chromium, fenugreek, olive leaf extract, green tea, milk thistle, silymarin. Not suitable for pregnant or breast-feeding women.